We just announced all of our new styles, but we’re back to focus on a specific product: the Raider Pullover. 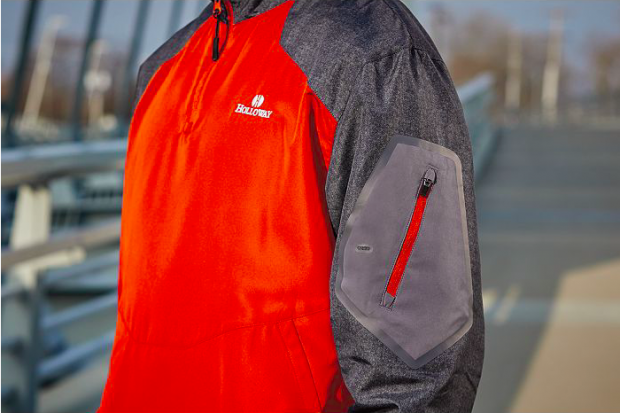 Designed to complement our Raider Jacket, this classic-fit pullover provides the same great weather protection without all of the bulk. The pullover’s Aero-Tec™ fabric provides both weather protection and zero noise, so you can head out in the elements with confidence. This ultra-lightweight fabric is perfect for warm, rainy weather which makes this pullover a great addition to your outerwear lineup. The Tech-Print pattern detailing and the quarter-zip neckline add fashionable elements to this functional design. If you’re rocking your Raider this spring, we’d love to see it. Share your best pictures on the #HollowayGear hashtag for a chance to be featured on our social pages.